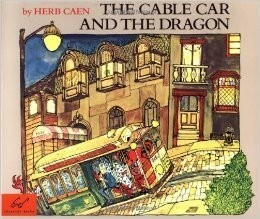 This is the rollicking tale of the adventures of Charlie, the youngest cable car. Only sixty years old, he is tired of the same old rut. One night as he's puffing himself up Nob Hill, he hears a lot of excitement down below: Chinese New year! 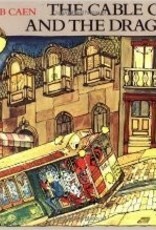 Suddenly, Charlie takes a right turn at Jackson Street, rather than the left he has taken for sixty years, and he finds himself in the middle of the parade. There he meets a friendly dragon named Chu Chin Chow, who is bored with his job. Charlie treats Chu to a cable car ride that looks as if it will end in a disastrous plunge into the San Francisco Bay--unless a miracle occurs.